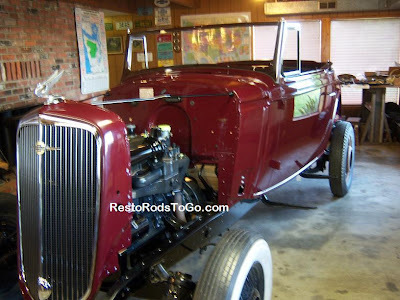 1934 Chevrolet Cabriolet Windshield was made of pot metal. As you know, pot metal was used because of the savings over using something like brass or bronze, which would have actually been the ideal materials to use for the simple fact that it maintains it's integrity far better than pot metal does. Corrosion in pot metal goes inner granular and therefore becomes extremely difficult to restore successfully. 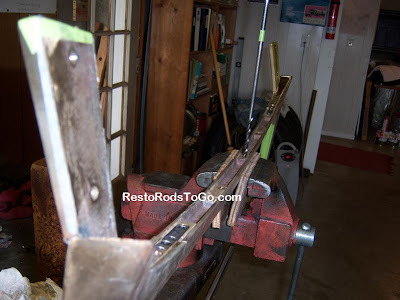 If you happen to find that rare Chrome shop that is capable of restoring pot metal, you will realize the expense of the process. The word expense will actually take on a whole new meaning at that point. 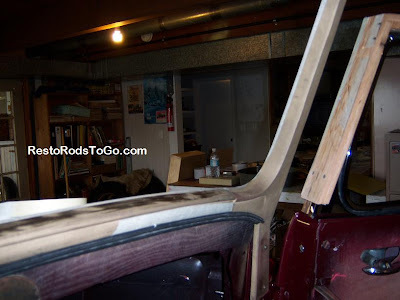 Recasting a windshield frame as we did with this one is certainly no inexpensive matter either, but the outcome can be very rewarding if you have the patience, skill and understanding of the process. Shrinkage occurs at a rate of 3/16" to the foot. I had to fill the groove for the glass as well. To start the process, you will need a plug or in other words an original windshield frame that is enlarged and smoothed, as well as filling most of the crevasses and holes. You have to make it so it will release from the mold without pulling the mold apart. The mold in this case being of hard packed sand. Referred to as Sand Casting. This is by far the preferred method of low production castings. 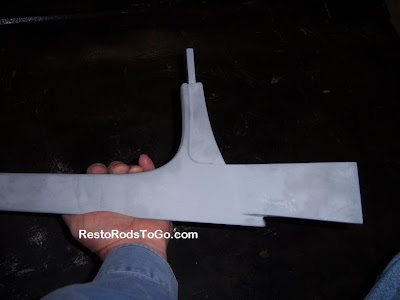 The reason being, that it would be extremely expensive to make a dedicated mold as they did originally in the factory. After the new recast part comes back from the foundry, you will need to smooth it to make it ready for chrome, fit it to the vehicle and do all the machining required to restore all the holes and cutout for the glass etc. If you are wondering about cost to do such a thing. Lets just say it cost more than 10 times what the car cost new, just to recast the windshield frame. But then, when building a car of this caliber, options are very limited. Installing a less than beautiful windshield would only bring the car down. 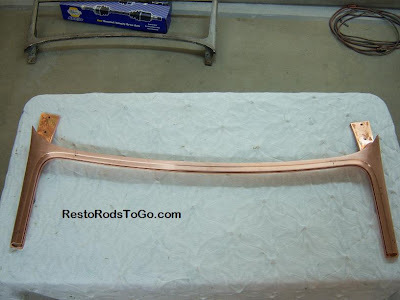 This windshield is probably the only 1934 Chevrolet bronze windshield frame.